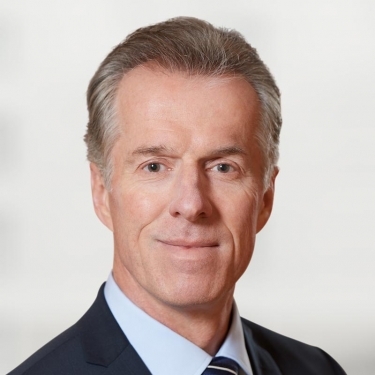 Magna once preferred to keep a low profile, but that’s changing: CEO Don Walker has a lot to talk about on multiple fronts. Walker, head of the world’s No. 3 auto parts company and North America’s biggest, this year unveiled a slew of significant moves — and all of them portray a technology provider transcending the traditional role of an automotive supplier. For starters, there was Magna’s $200-mil- lion investment in Lyft, with an eye toward developing new powertrains for autonomous vehicles that the ride-hailing service wants to deploy. At the same time, Walker, 62, said Magna will form two joint ventures in China with Beijing Electric Vehicle Co. to engineer and manufacture electric vehicles. He told ana- lysts this year that to address the influx of advanced new business, the company will throw $100 million more into its planned annual research-and-development budget. The year also saw the company’s Magna Steyr vehicle manufacturing unit launch production of the E-Pace and the all-electric I-Pace. At the same time, the company opened a body-and-chassis plant in Mexico to sup-ply BMW and Mercedes-Benz, and a large aluminum-die-casting plant in England to supply Jaguar Land Rover with lightweight “high-stiffness” parts.